What Are the Responsibilities of A Successor Trustee? When a trustee becomes incapacitated or passes away, a successor trustee takes their place. In addition to managing the duties held by the previous trustee, the successor must also demonstrate proof of a certificate of trust or affidavit regarding their power over the trust. Selecting a successor trustee may increase the chances that a transition between one trustee and another runs more smoothly. Choose someone you feel confident in handling the above-listed responsibilities. Individuals who are aware of the benefits of the trust and who are skilled with organization may be more likely to succeed. Both the original trustee and the successor trustee should be aware of the value of what they provide to trust management and administration. 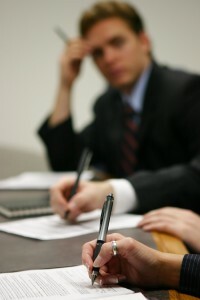 To structure your trust properly, you should work directly with an estate planning attorney. This promotes compliance with state and federal laws and the opportunity to maximize your trust benefits with attention to detail- contact us today at info@lawesq.net to review your trust documents.